At La Ferriere you can book accommodation then relax and take in the beauty of this unspoiled natural environment. You have 3 amazing chateau's within 2 kms, vineyards to visit and wine to taste. Bergerac with its historic old town, shops and superb restaurants just 8 kms away. bastide villages with street markets. Picnic by the Dordogne and swim in the river, lakes or pool. Open your senses to all Aquitaine has to offer and be captivated just as we were when we stepped into this magical world. Le petit abre a prunier - ideal for two and has been lovingly restored in traditional perigord stone with original wooden beams and tiled floors throughout. All on one level with its own private terrace looking over the beautiful lawns towards the forest and over the dordogne valley towards the Monbazillac vineyards and Chateau. Comfortable and relaxing interior a mixture of old and new restored rocking chair next to the high style sofa, Indian rugs and bedspreads and Chinese theme wardrobe. Lovely wet room style shower in the bright and spacious bathroom. Portuguese tiled kitchen with new ceramic hob and electric oven. fridge freezer, microwave, coffee machine everything you need to make a breakfast or a three course diner. Laundry facilities are close by on site - but who wants to do chores? Catch up on UK TV with freeview and wifi or just listen to music and snooze in the sunshine after lunch. The swimming pool and pool house are there for you to use. Relax - the views from the infinity pool over the lawns the blue sky above you. BBQ and eat on your terrace or on the lawns watching the sun go down Ahh heaven. Fresh modern decor blended with the traditional design an ideal place for two. A large double bed walk in shower, light and airy kitchen with patio leading into your private terrace and cool places to sit relax and read. 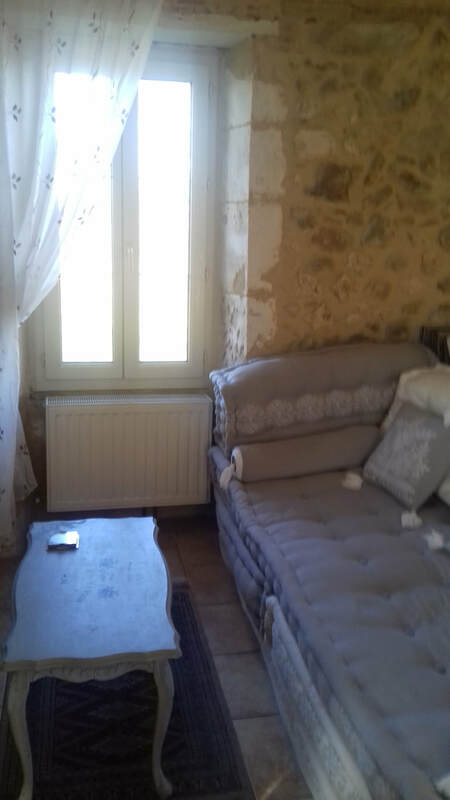 Cottage de fleurs de chaux this traditional Perigordian farmhouse with its cream coloured stone and shuttered windows sleeps 4 adults comfortably. Both bedrooms have large beds one super king size and the other king size. A child can sleep on the day bed downstairs or on the chaise longue in the largest room. There are two bathrooms one serving the living room and the other for the bedrooms. 17th century stone steps lead to the 1st floor terrace and entrance. The french style open plan living dining and kitchen area is light and airy with long windows to let in the breeze and bird song. The kitchen has oven, hob, fridge freezer, microwave washer and dishwasher. Toaster, kettle and coffee machine are there too. The dining table seats 4 /6 and there is comfortable seating inside to relax take a nap or read after lunch. You can eat outside there are tables and chairs on the lawns and in front of the pool under the shade of the trees. Catch up on UK TV with freeview and wifi or just listen to music. The swimming pool and pool house are there for you to use. Relax - the views from the infinity pool over the lawns the blue sky above you. BBQ and eat on your terrace or on the lawns watching the sun go down. Surrounded by nature, fresh air and the sound of the birds La Ferriere is made with you in mind. 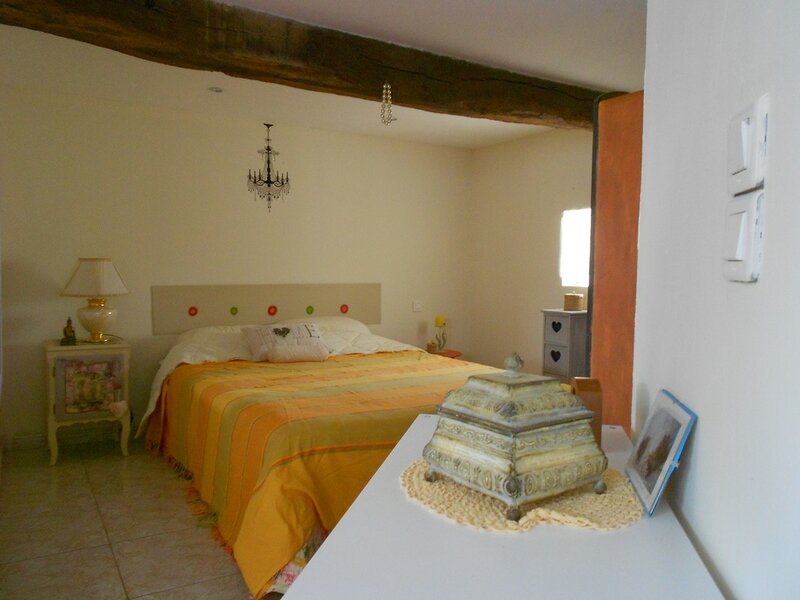 Le Petit abre a prunier a One Bedroom Cottage and the two bedroom Farmhouse de fleurs de chaux are traditional Perigordian Buildings of beautiful warm stone with oaks beams.